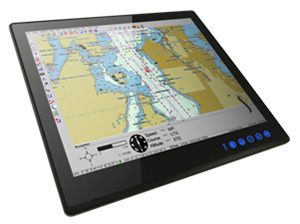 Winmate, a global leader in developing advanced rugged technologies, has deployed a new series of advanced multi-touch maritime panel PCs with capacitive touch keys technology to a luxury Yacht manufacturer in Taiwan, bringing a new level of technology and design on the bridge or in a control room. The elegantly designed, yet rugged, industrial grade maritime panel PC series is designed for usability with brilliant true-flat screens, which offer superior readability and Projected capacitive touch (P-CAP) technology, available in 19”, 24”, and 26” options. This series also offers international special certifications (DNV 2.4, IACS-E 10, IEC 60945 4th Edition), which enables the safe operations on yacht. Why use the Winmate 19" true flat marine (R19IB3S-MRA1FP)? ● Capacitive touch keys give users quick and easy access to the information they need. ● In the ECDIS-color calibrated model, the quick function keys allow instant brightness adjustment to any of the day, dusk or night mode. Processing power for the 19", 24", and 26" Maritime panel PCs comes from Intel Bay Trail 1.83GHz quad-core processor. These coupled with fanless design, ensure low power consumption without compromising speed. The new Winmate maritime product series was also built with durability and flexibility in mind. The smooth housing, edge to edge display design, and industrial grade components, ensure longevity and reliability.